A young Don Redman in Fletcher Henderson’s orchestra around 1925. July 29th marks the anniversary of the birth of musician and arranger extraordinaire Don Redman, whose innovative work during the Harlem Renaissance helped to usher in the era of swing jazz. Donald Matthew Redman was born into a musical family in Piedmont, West Virginia on July 29, 1900. He first took up the trumpet, and could play all the wind instruments before he was a teenager. Redman first studied at Storer College in Harper’s Ferry before attending the Boston Conservatory. 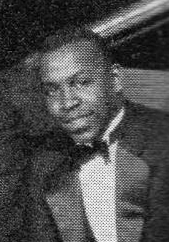 After graduating, he went to New York and played with Billy Page’s Broadway Syncopators, playing primarily reed instruments, and soon began arranging. In 1923, he joined Fletcher Henderson’s orchestra, with whom he created arrangements that would develop into swing in the next decade. After recording extensively with Henderson, Redman was invited by Jean Goldkette to take over the reigns of McKinney’s Cotton Pickers in Detroit, a position which he held until 1931, when he started his own orchestra. Redman kept his own band together until 1940, playing for the better part of the swing era, and appearing in a Vitaphone short in 1933. After his orchestra disbanded, he continued to arrange prolifically for a number of bands, as he had done previously. Redman died in 1964 at the age of 64. Brunswick 6211 was recorded on September 24 and October 15, 1931 in New York City, the former being the first session by Don Redman’s newly formed orchestra under his own name. The band includes Bill Coleman, replaced in the latter session by Langston Curl, Leonard Davis, and Henry “Red” Allen on trumpet, Claude Jones, Fred Robinson, and Benny Morton on trombone, Edward Inge and Rupert Cole on clarinet and alto sax, Don Redman on alto sax, Robert Carroll on tenor sax, Horace Henderson on piano, Talcott Reeves on banjo and guitar, Bob Ysaguirre on bass, and Manzie Johnson on drums. Ted Koehler and Harold Arlen’s “Shakin’ the Africann”, recorded on the latter date, features a vocal by Redman, rejecting “sweet” music in favor of jazz played hot. 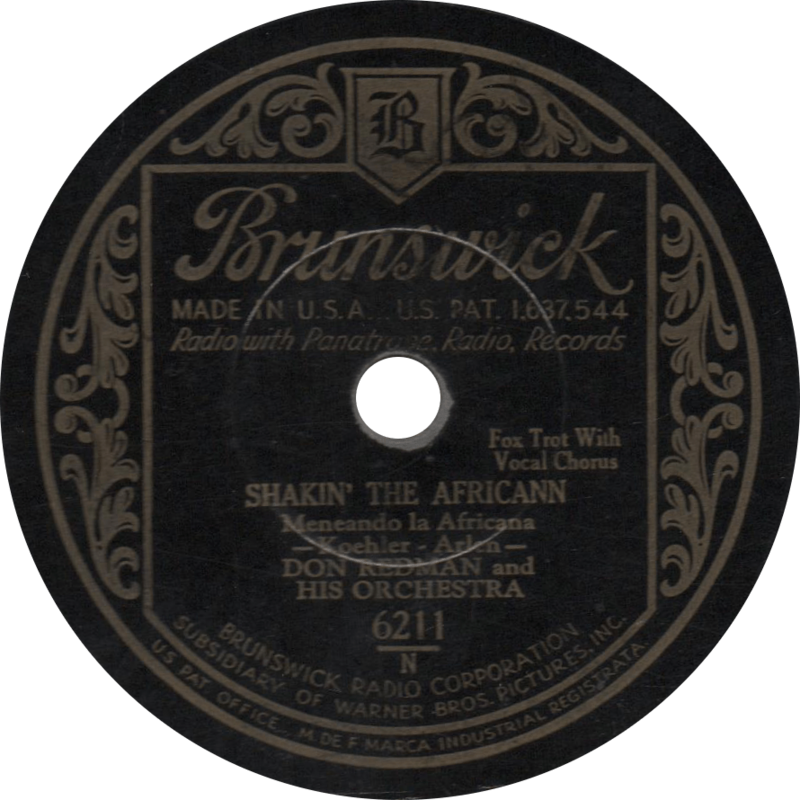 Shakin’ the Africann, recorded September 24, 1931 by Don Redman and his Orchestra. Redman’s own “Song of the Weeds”, most commonly known as “Chant of the Weeds”, was also recorded for Columbia with a quite different sounding arrangement. 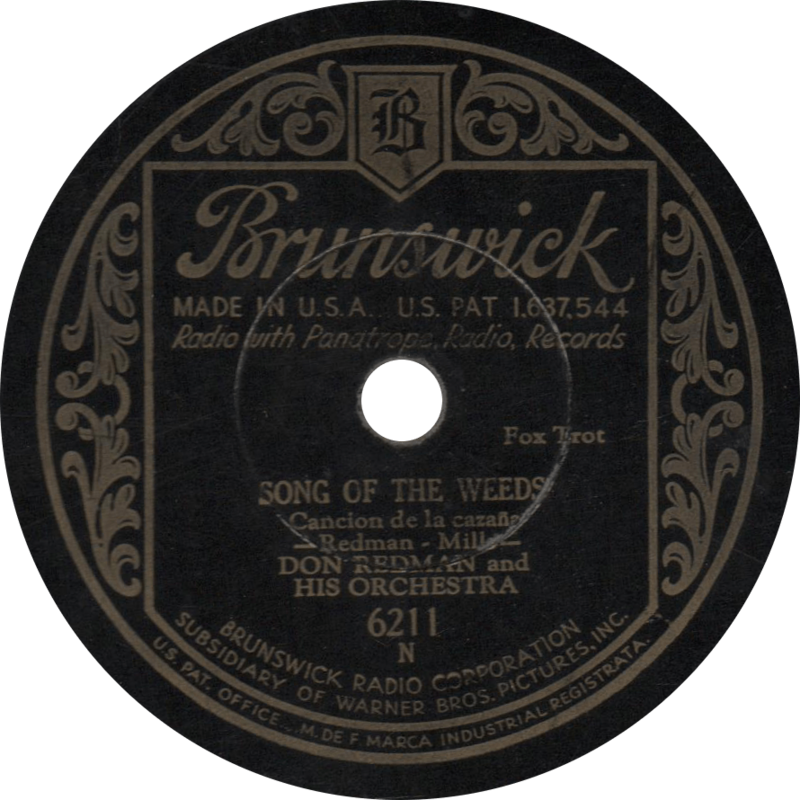 Song of the Weeds, recorded September 24, 1931 by Don Redman and his Orchestra. If you want to go to heaven when you D-I-E, you got to put on your collar and your T-I-E.